These days it seems that life is just a little more hectic; we’re all working harder and stressing more. It’s at times like this that I look for some simple, old fashioned comfort which for me will always take the form of my favourite foods. In winter I’ll always go to warming stews and hearty soups but in summer I’m all about eating outside. 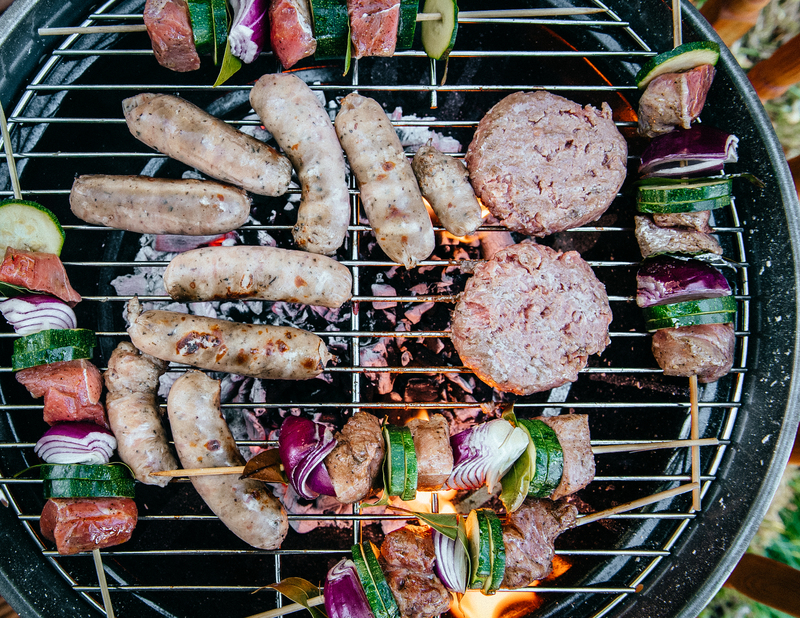 A BBQ does so much more than just fill your stomach with burnt sausages – there is something primal about the reward you get when you’ve thrown coals into a drum and are cooking with real flames! Manly fix aside, it’s a simple fact that food tastes better when you have the sun on your back and are surrounded by good friends and family. That said, I’ve been to a few barbecues where the designated chef looks about as removed from a good time as you can possibly get! This is usually down to a couple of bad decisions that I’m going to help you sort out now. The most common reason is that you’re trying to cook too wide a variety and too large a quantity of food, so stick to three salads and three meats or fish. One of these should be a roast joint of lamb, pork or beef which you’ll have pre-cooked in the oven before the party begins. This is your fail-safe cheat and showstopping dish all in one! You want to caramelise over the flames before carving into slices and serving in buns with spicy relish. I promise you will become renowned as the BBQ King – or Queen! 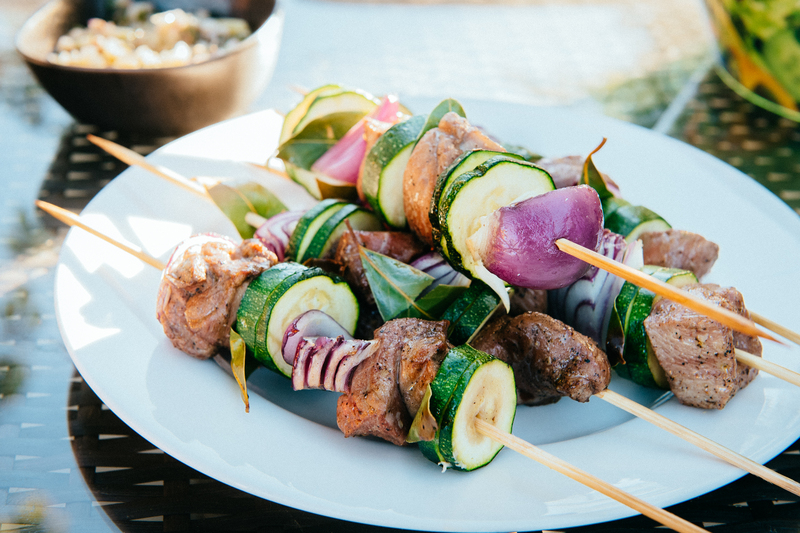 Next up – don’t over-crowd the grill. You will knock the heat out and cause the temperature to drop resulting in raw food and that’s never good. Cook in small batches which can be wrapped in tin foil (shiny side in) should your guests be the kind of folks who like to eat BBQ together. When it comes to serving, my wife and I have it down to a T. Simply spread disposable plates on empty kitchen surfaces and make sure everyone gets a bit of everything. Stick out the relish, the sauce and salad bowls and call the crowd in from the garden to grab a plate and go. Any extras are left indoors which means no need for bowls of food littered over the garden. Everyone is fed and your lawn doesn’t look like a war zone and you can get on with the drinks and dancing! Enjoy seafood or smaller cuts of meat using kebab sticks. 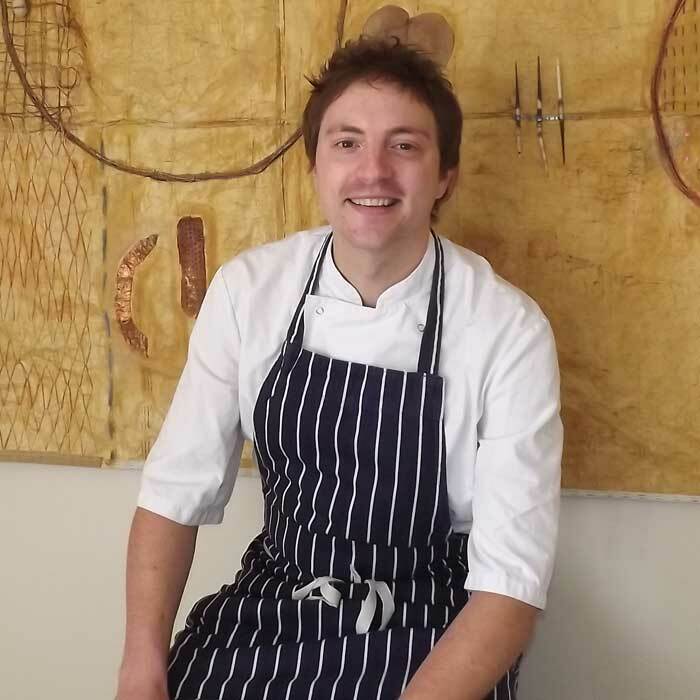 Not only can you add some lovely vegetables and flavours but it’s a great way to stay in control of the cooking, making sure everything is even and perfectly cooked. If using wood sticks remember to soak them in water for at least an hour beforehand making them less likely to burn during cooking. 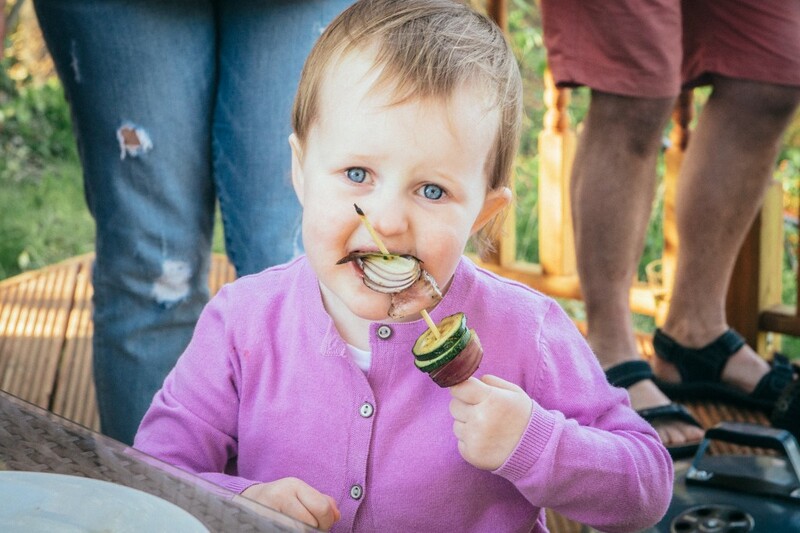 Big thanks to Gill Murray and Small City, Big Personality for use of their fabulous BBQ pics – how cute is wee Freya? !